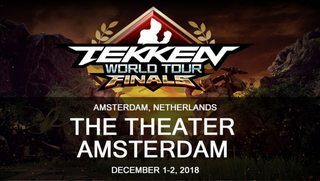 The time has come to seek the new world champion at this year's Tekken World Finals 2018, held at the Theater in Amsterdam this weekend. But before we proceed to finals we first go through the last chance qualifier. With 320 players registered for the LCQ, the long battle for the last spot in the finals will surely be full of excitement. So join the stream and ride on the hype train. Well, that was a good outcome!